The price for Scroll In A Box is $185 retail which includes the Scroll In A Box software and the rental of the Classic Scroll In A Box Stands. We have the Gold and Silver Stands available to rent and then will need to be returned after the reception has been completed. You may choose the classic Scroll In A Box style or to have it personalized with your photo, monogram or another image of your choice. This example of Scroll In A Box illustrates personalized Gold Monogram design scroll on a Gold Stand. 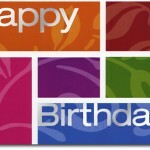 For more design options please call or come in to our store located at three Embarcadero Center in San Francisco, CA. 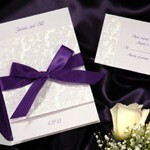 You can also visit Hyegraph online at www.hyegraph.com for more Wedding Stationery and Wedding Planning ideas. See our Calligraphy page for Calligraphy ideas and Wedding Invitations for beautiful invites.